How Could Theresa May’s Snap Election Announcement Affect the UK Economy? 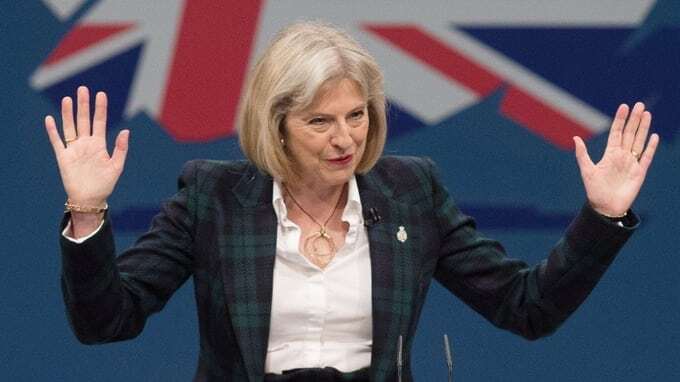 Theresa May sparked a sense of surprise across the country last week as she called a snap general election to be held on 8 June. Many have since drawn comparisons between the British zeitgeist with a Bristolian lady’s reaction to the news which quickly went viral online. The announcement followed several statements by the prime minster that she would not be seeking a general election. However, in terms of shock factor, the news of a general election bears little in common with the Brexit result last year which truly shook the nation. Although the economic prospects for the UK outside of Europe are still uncertain, the economic results immediately following Brexit were truly shocking, with the value of the pound falling to its lowest value in over 30 years. Divisive as the Brexit result proved to be, there is a sense that the nation is now coming to terms with its future outside Europe. May’s decision therefore appears to be a timely one; the dust is beginning to settle and the nature of Brexit is beginning to be unpicked. A general election at this point offers a truly democratic Brexit process. Key manifesto points are already being offered, with Jeremy Corbyn promising a higher minimum wage, and Theresa May hailing the Conservatives as “a lower tax party”. As the campaign gathers momentum, Brexit will be a key component of manifestos. Economic Upturn or Is the UK Market in the Stocks? Given the Conservative majority victory in 2015, and the Brexit vote – both of which were largely unexpected – it is perhaps natural for a sense of uncertainty to overshadow the UK economy; despite the anticipated Tory victory this year, there is a feeling that anything could happen. However, following May’s call for a general election, the pound quickly rallied to its highest value in six months. Considering the real uncertainty surrounding the Brexit process, the general election offers a more certain political future, and therefore a more informed future direction for the country. However, on the same day, the FTSE100 suffered its worst day since the Brexit vote on 23 June. This is no surprise as the prospect of political change often leads to uncertainty in stock markets. Online economic calendars can be helpful for those wanting to understand more about how key announcements and events can affect domestic and global markets. Huge question marks hang over the future political and economic climates of the UK – both given great prominence and coverage through the election announcement. Whilst the election will offer political certainty in the long term, the economic forum is likely to be volatile, at least until after 8 June. It is therefore a particularly interesting time for foreign exchange (forex) traders. The uncertainty and potential volatility of domestic markets may lead people to explore the opportunities in forex. The UK is in a state of huge transition. Whilst Theresa May’s announcement may bring relief and certainty to some quarters, its implications elsewhere will be less welcome. However, regardless of the election result the economy is likely to remain most effected by Brexit until its implications are better understood, and the process actually begins. Can you identify with Brenda from Bristol? Do you think FTSE100 has a good outlook? Have you looked into forex trading? Next PostCan we survive the dangers of the public sector language gap?